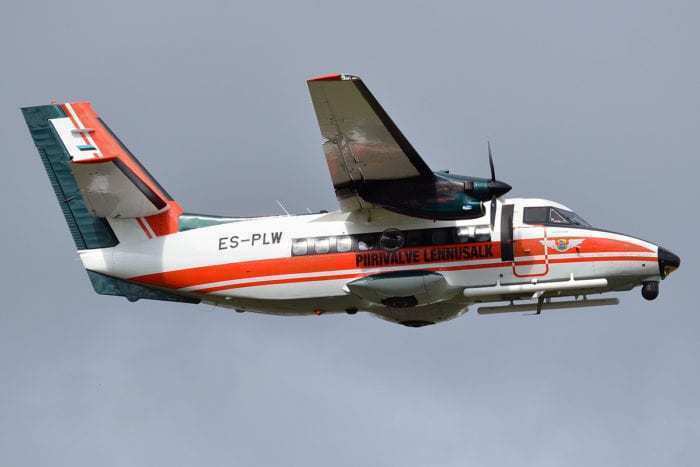 A Summit Air Let L-410 Turbolet has crashed into a parked helicopter during its takeoff roll at Nepal’s Lukla Airport on April 14th, leaving three killed and four injured. The aircraft, registered 9B-AMH, was bound for Kathmandu and was rolling down the runway when it suddenly veered to the right, slamming into a parked Manang Air AS 350 B3e helicopter 30-50 metres from the runway. As a result of the impact, both of the aircraft were dragged down to a lower helipad where they both caught fire. The First Officer of the Summit Air Let 410 was pronounced dead immediately following the arrival of rescue services. 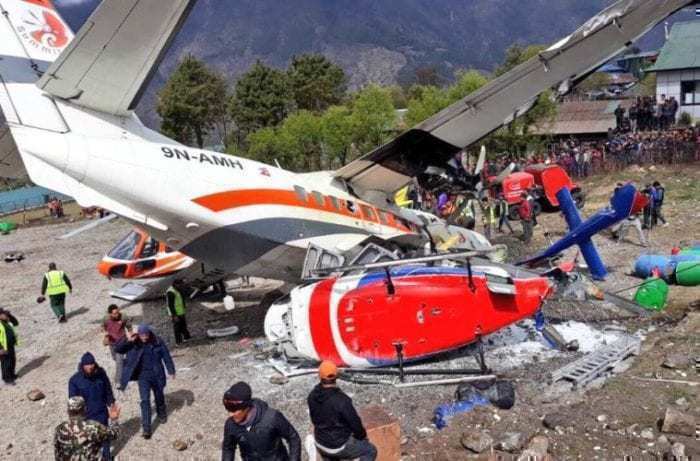 Captain RB Rokaya who was pilot-in-command of the Summit Air aircraft and Captain Chet Gurung of Manang Air, who was in the parked helicopter, were both airlifted to Kathmandu Grande Hospital in a serious condition. Unfortunately, an Assistant Sub-Inspector for the Nepal Police, who was stationed at the helipad was killed immediately from the impact of the aircraft. A second Assistant Sub-Inspector named Rudra Bahadur Shrestha, was injured on scene and was airlifted to Kathmandu Grande Hospital where he was treated and later died in hospital. Witnesses describe the moment as sudden, with the rudder looking like it locked, leading to the collision. The CCTV footage below shows the aircraft suddenly veering off the runway. Lukla airport, also known as Tenzing-Hillary airport and the ‘gateway to Mount Everest’. It is often referred to as one of the most difficult and dangerous airports in the world because of a short runway (1,729 feet) with an 11.7% gradient, challenging terrain and high elevation (9,334 feet). The airport has seen several crashes in the past few years. Simple Flying will keep this post updated, should any more information regarding the crash come in.